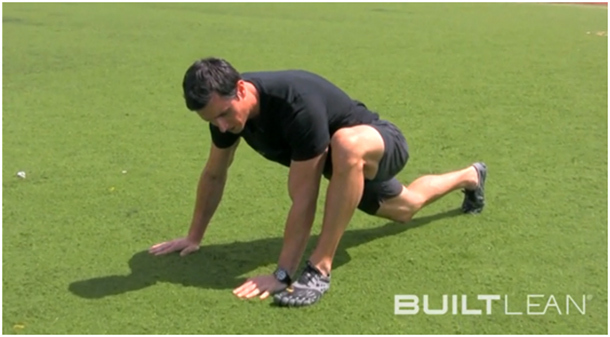 Dynamic Stretching is a phenomenal way to warm up your body before exercise. Unlike stretching in place, dynamic stretching takes the body through stretches in motion that prepare your body for the workout ahead. 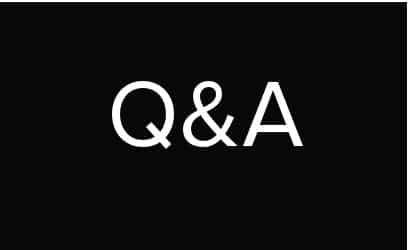 But what is the best dynamic stretching exercise you should always do no matter what? Here are the exercise form instructions for the best dynamic stretch to do before your workout. For a warm up routine, check out Dynamic Stretching Warm Up Routine. 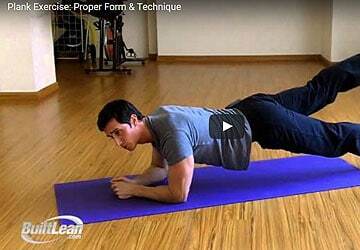 The first part of the exercise starts off in the push up position. Your shoulders should be positioned away from your ears, back and hips flat, core and abs engaged. Your hands should be underneath your shoulders, slightly wider than shoulder width apart. The next step is bringing your left foot up to your left hand without raising your hips. You will feel a great stretch in your groin and also your hip flexor on the right side. If you have tight hips, it may be difficult to bring your left foot all the way up to your left hand, you may only get half way. That’s ok! Be sure to sink into the stretch, meaning your left elbow should sink down toward your left heel so you feel an intense hip and groin stretch. Next, you take your left arm and open up while keeping it straight and point your hand toward the sky. 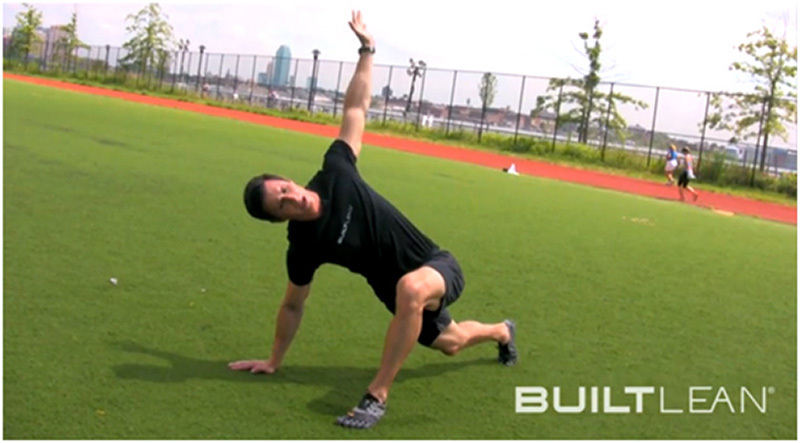 This creates a great rotational movement that helps open up your shoulders. As busy professionals, a lot of us are working at a computer and get rounded shoulders. This stretch also engages and loosen up the upper back and core. You can also try twisting the opposite way for a more intense and advanced stretch. 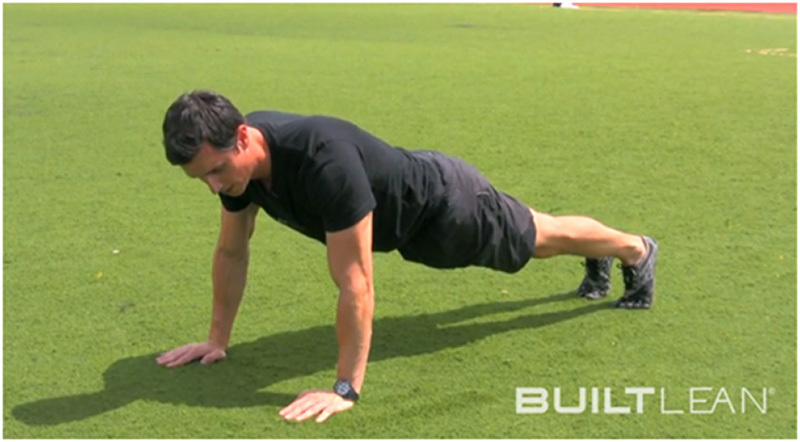 Return back to the starting push up position. The last step is to push your hips backward and up toward the sky like in a downward dog yoga pose. You will feel a great stretch in your hamstrings, calves, and it’s also engaging your shoulders as well. Your shoulders have the largest range of motion of any joint in your body, so it’s really important to warm them up. 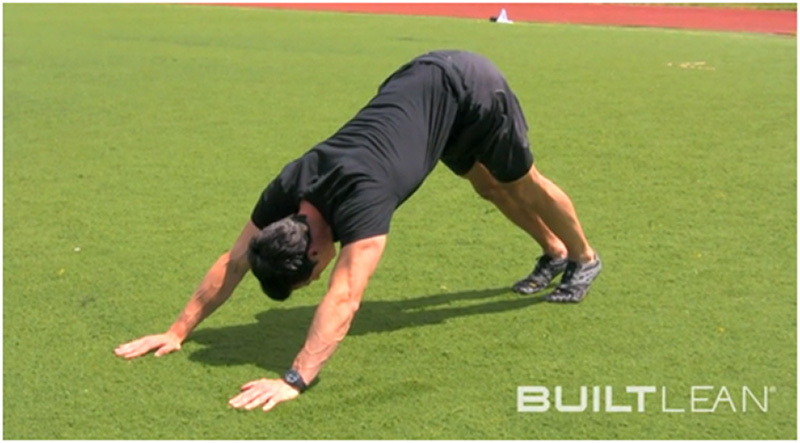 After this step, you go back to the push up position and repeat. This is a great stretch you can do before your workouts, whether you are doing a HIIT cardio workout, and strength circuits workout, or just going for a jog. Great routine, Marc! Thank you! Love the Vibrams you wear. What model is it? Thanks, Mark. I’m wearing the SEEYA LS. Love this, a lot of people don’t understand the importance of a good warmup. Good stuff! Loving the Broga! flexibility is so important for athletes. I’m so happy to see you’re stressing the importance of these types of warm ups. I’ve been itching to teach a yogic dynamic stretch routine to muscular athletes… They can feel very intimidating to many people. Haha, love the term “Broga” – that’s hilarious! Haven’t heard that before. Thanks for leaving a comment. You are so right, but I think it’s ironic that people find something as relaxing as stretching intimidating. @Ed – Agreed. I don’t feel human when I’m really stiff. Definitely not natural. Stretching is definitely very helpful and we should probably do more of it as we age. i follow your advice very seriously ..for this stretch i have few queries ? how many cycle of this stretch should we do .. and also i suffered from a lower back pain about 4 months back .. can i do this ? @Krishna – I would go for 10 total reps (5 each side) for 1 to 2 rounds depending on how you feel. Regarding your back pain, it’s very hard for me to make a recommendation. If you feel pain in your back as you do this stretch, than I would not do it. Happy to hear you are taking the advice seriously! This is a super tutorial, Marc. When looking at the video or pics, it seems basic, but so imperative to see each detail so I can practise the correct form. This kind of video/pics/written detail I had in mind when I was asking about more about info on correct squatting and lunging. When pros (trainers) do side or jumping lunges, it’s hard to see how their feet land (does more stress go on the ball or on the heel?) and how close are their knees to the toe line. Video/pics like this would reflect/address all important points that views are concerned about. Very happy to hear it’s helpful Saule! I think a combo of the video + pics + description is likely the ideal type of content because there is something for everyone. I’m happy you are reinforcing this. Marc, thank you for this stretch. It came at the best time possible, I’m actually taking the day off from barbell squats and dead lifts due to sore hip flexors and abductors (not stretching enough pre and post workout). I love the Vibrams too!! I am a Pitching Coach and am always looking for Dynamic Stretching variations. I love this one. Thank you. Hello Mark, my questions is I have always had the mid waist body Baby fat and moobs and despite a pretty consistent gym cardio work out it seems that I can’t loose or gain muscle. could it be my testosterone and metabolism is out sync. Im 57 years old and go to the gym every day at least 2 to 4 hours religiously, would like some feed back, thank you. Hi! Moobs are as much about hormonal imbalance and correcting bad bacteria as training. 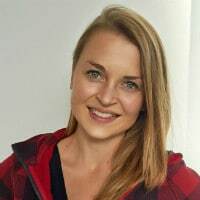 I’m a health coach and without a full health history wouldn’t be able to offer more guidance, but try eliminating (for two weeks) sugar, sugary drinks which is most alcohol, flour and starch (other than starchy veggies) and take a quality probiotic asap, if not doing so already. See if you feel a difference. This is a long-term healthy fix, so it takes time (and I know carbs can be energy support for workouts but just eliminate temporarily to give your body a break). I’m a big fan of the benefits of bone broth, which is great in stews this time of year! Hope that helps! That’s great advice, Cindi! Thanks for sharing that information. Great stretch mark, really feel it in my hips which is awesome! 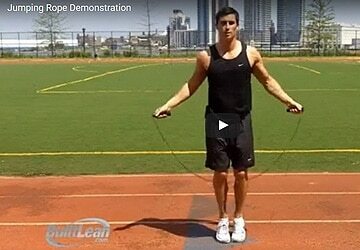 Jumping rope is an awesome warm up, but I would consider adding in just a few dynamic stretches, which will make your warm up even better. Looks like a super solid way to warm up! I’ll give it a try. I like the fact you are advocating for yoga-type stretches into your strength training program. I am a senior and started doing this stretch, it is amazing! I was stiff at first and it took time, but now I am so flexible, I stunned myself. It has really improved my flexiblity beyond my widest dreams. When I fell with a body slam a couple of weeks ago, I was barely injured! Thank you so much for all your great advice! So glad to hear you’ve had such great results by adding this stretch to your routine! Yea, it’s a really good one. Keep up the good work!